Розробка уроку до теми Англомовні країни. Вивчаємо якомога більше про них: звичаї,традиції. Цель: систематизировать и обобщить знания учащихся по теме «Faces of London», активизировать в речи лексику по теме «Faces of London». Образовательная: обобщение лексического материала по теме, совершенствование навыков говорения. Развивающая: развитие коммуникативных навыков по теме, развитие творческих способностей учащихся, развитие умения обобщать, делать выводы. Воспитательная: воспитание правильного отношения к ценностям истинным , воспитание умения работать в сотрудничестве, воспитание уважения к культуре другой страны, воспитывать чувство гордости своей страной, городом, родной деревней. Учебные пособия: презентации с видами Лондона, аудиозапись, оформление доски, компьютер, проектор. Good morning boys and girls! I’m glad to see you. I hope you are OK.
2.1 T:.The first task is called «Do you know Britain well?» You will see presentation with questions about London and it`s sights. Then you should choose the right answer .The first question is for the first team. The second question is for the second team. 2.2 T: You can see two columns of words on the blackboard. Can you match the words from the first column and the second one to make up the word combinations? Open your exercises books and write down these word combinatios. 3.1The third task is for captains. You must choose the right answer. Please, be the best captains!! Now we will work in pairs. Open your books on p 80..Make up dialogues and act them out. - Oh did you? I have not been there. Is it worth visiting? 5 Путешествие в Лондон(физминутка ,музыкальное сопровождение, игра) Let`s have a rest. Let`s go to London. Before you must make a sad planet smiling. The next task .What do you know about London and it`s sights? Who wants to be the first? You should say us some information about London sights. P1: It is a large and modern city, because there are many parks and gardens, straight streets, wide squares, fine buildings. The parks are full of beautiful trees and flowers. P2: It is a political centre, because the British government seats there in the Houses of Parliament. British people are proud of their Queen, who lives in Buckingham Palace. P3: It is an industrial centre too, because there are many plants and factories. Sometimes people are tired of noise and smog. P4. It is a cultural centre, because London is rich in museums, theatres and art galleries. P5: The Tower of London. The tower of London is a very old building. It is about nine hundred years old. The English kings lived here. Then it was a prison where many people died. It is a museum now. Black ravens live outside the Tower. P6: We took this picture. It is St. Paul’s Cathedral. It is a greatest work of England’s greatest architect Sir Christopher Wren. The Cathedral was begun in 1675 and was finished in 1710. Christopher Wren was buried there. P7: It is a view of Trafalgar Square. It is in the centre of the West End of London. Trafalgar Square commemorates Nelson’s victory at the battle of Trafalgar in which he was wounded. Nelson’s Column stands in the middle of the square. 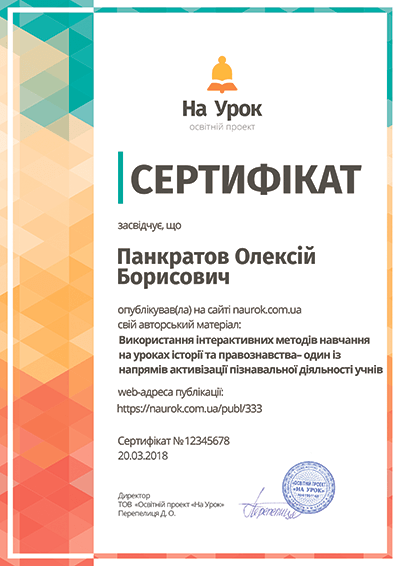 7.Самостоятельная работа, закрепление лексики и письменной речи. T: What London sights would you like to see? Find some of them in the table. Who has knocked at the door?. Oh, she is our gest/How are you, Diana? We are talking about London/Diana, would you like to visit London? Our judges, are you ready?